We’ve been around for a long time and provided websites for so many people. Our history of providing excellent design, hosting, support and training is second to none. We create image strong websites to convey the ‘fabric and texture of life‘ that you share through your small business or education community. Helping small businesses stamp their mark on the web. Capturing, celebrating and communicating school life. We’ll create an excellent website for you to represent your company online. Your website will be hosted on a secure server looked after by a dedicated team. We’re always here to help you keep your website up-to-date or to anwer your questions. Our excellent training manuals and video materials will equip you to run your website efficiently and effectively. Four essential services to make your web experience work for you. You can be assured that with us your website will run well, communicate your business vision and meet your online needs. Your website is your shop-window to the world and we intend to not only create a great window display, but to make everyone’s ‘walk-through-the-door’ experience excellent and memorable. Our accountancy practice has used TexturedWeb Ltd to host, develop and maintain our website for the last ten years. TexturedWeb specialise in the educational sector, but as a firm of professional accountants, we would have no hesitation in recommending them in any business sector. “We have used TexturedWeb computing for our school website since 2008 and have always been extremely impressed with the quality of the service and the friendly approach. Tim is always on hand to advise us on how to present what we do to our parents and he has kept us up to date with the changes required of school websites and in new ways of demonstrating what we do well. “I have been using TexturedWeb Computing for nearly 8 years now. 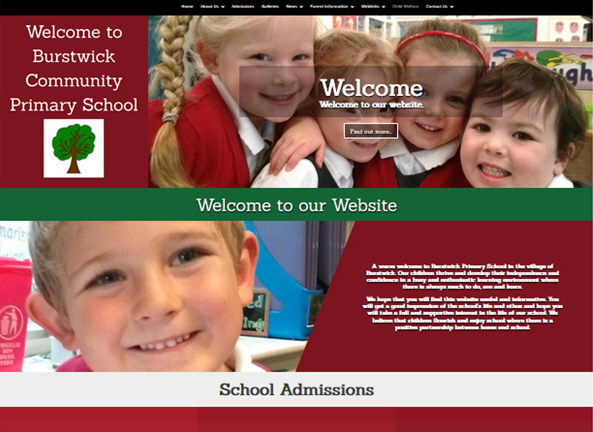 They designed and maintained my first school’s website and it proved to be a catalyst for a new intake of pupils. When I joined what is now the Wolds Federation, I quickly engaged the company to set up three new sites for the three Federated schools. TexturedWeb design state of the art sites, are quick to make requested changes and work with us in a supportive, friendly partnership.